This radiant cluster engagement ring features a pear shaped center made up of round-cut diamonds that are either prong or pave set. 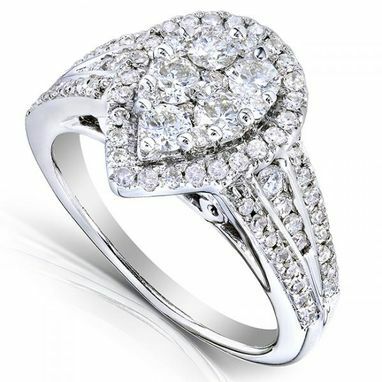 Surrounding the cluster in a halo are twenty-five round diamonds that are pave set. 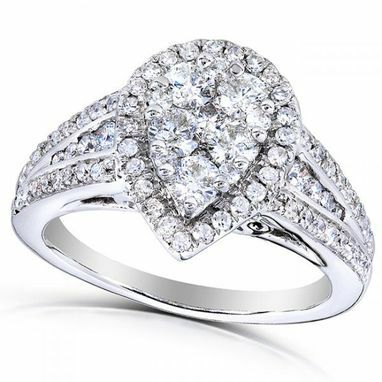 Two bezel set diamonds are found on either side of the profile of the ring's mounting. 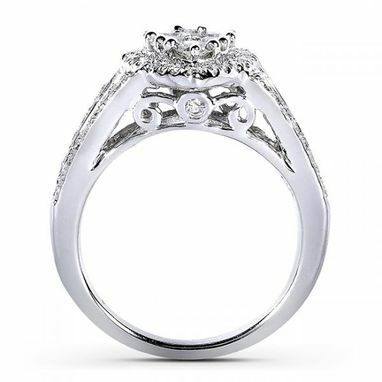 Completing this highly-detailed ring are additional round-cut diamonds along the band crafted in 14-karat White Gold. All of these brilliant diamonds used in this preset engagement ring are conflict free and total to 1.00 carat in diamond weight.